John has been living and eating under a pretty rigid Keto diet lately. It is a high fat, moderate protein, and very low carb lifestyle. When your body is in a state of Ketosis, it essentially means you are burning fat. Since you aren't eating sugar and have limited carbs, you also don't have the ups and downs of blood sugar crashes throughout the day. 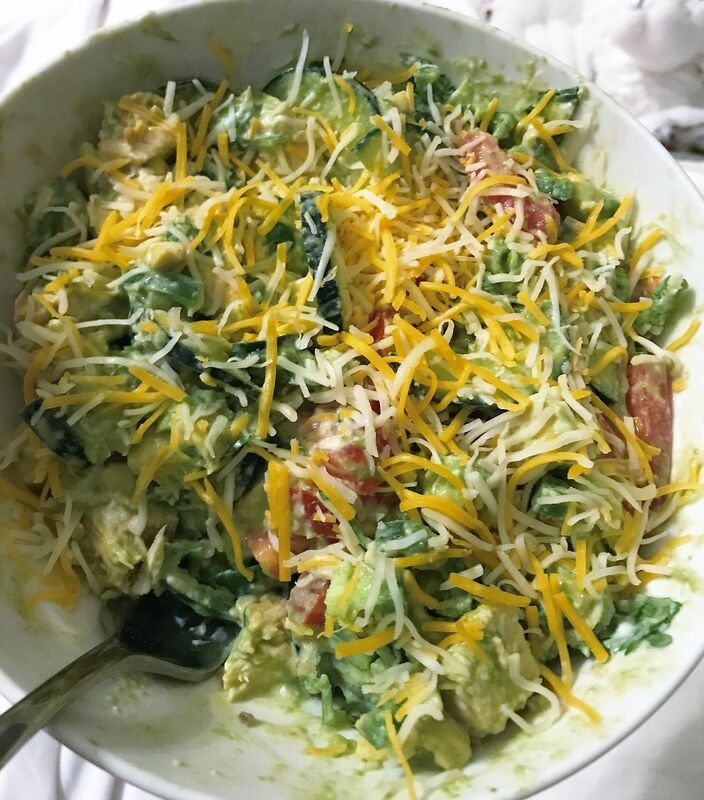 Recently, we've been coming up with simpler meals that adhere to Keto, and this "salad" was one I literally threw together with ingredients in my fridge as a last-minute, late-night dinner for John. **Dairy-free option: you can easily cut the dairy by omitting the sour cream/yogurt and cheese. It would taste just as amazing if you poured a little lime juice or lemon vinaigrette and mixed all the ingredients together.